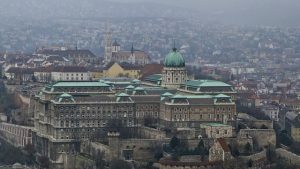 When you visit the hungarian capital it is only natural that you realize the wonderous Budapest architecture adn buildings that date back even to ancient times of Rome. The city has been a center of the Carpathian basin for almost 2000 years and has been the heart of Hungary for almost 600 years. During this time many achitectural trends shaped the city. The most prominent of them is the great era of the second part of the 19th century when most of Budapest was built. Heavily influenced by the romantic and seccesic styles the downtown of Budapest has a vibe of the second industrial revolution. Prominent coffe houses, museums and govermental buildings were all built during this time period. Great splendors of the city also come from the ottoman occupation when many of the bath houses were built and now they are used by local residents and tourist as well. If you are looking for just an easy walk in the centre of the city then you will have excellent opportunity to take a look at these architectural wonders.